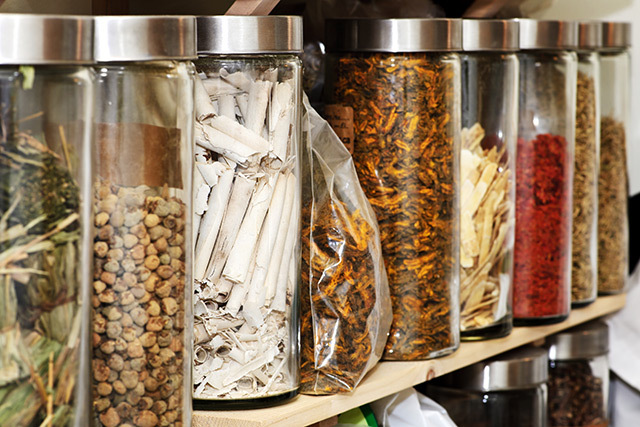 A mixture of herbs commonly used in traditional Chinese medicine could help those suffering from asthma find relief, according to a study in BMC Complementary and Alternative Medicine. The study, led by researchers from Capital Medical University in Beijing, looked at the effects of using a decoction of Herba Epimedii and Fructus Ligustri Lucidi with the asthma drug budesonide can improve the condition using in vivo tests. Asthma is an inflammatory disease that affects the airways to the lungs. During an asthma attack, a person’s airways become narrow and produce more mucus. This makes breathing difficult and can trigger coughing, wheezing, and shortness of breath. Asthma affects each individual differently. For some, their attacks cause little concern; however, other experience severe or even life-threatening attacks that adversely affect their quality of life. In the U.S., more than 26 million people have asthma, according to the latest data from the Centers for Disease Control and Prevention. To manage the condition, most health care professionals turn to drug therapy. One drug, in particular, stands out. Inhaled glucocorticoids are a drug class widely used for asthma relief. This is due to its fast-acting anti-inflammatory action. However, the drug isn’t without risk — long-term use, for instance, decreases its effectiveness. This leads to people taking higher doses for relief. This increases their risk of bone and brain problems later one. In addition, the drug can cause growth stunts in children if they use it for a long time. “For these reasons, effective therapies that are targeted at severe asthma and that can inhibit asthma airway remodeling are needed,” they wrote in their report. The researchers turned to herbal formulas used in traditional Chinese medicine to relieve asthma. One formula that caught their attention is a decoction that used Herba Epimedii and Fructus Ligustri Lucidi. The herbal decoction has been used in concert with glucocorticoids to relieve asthma symptoms for over 50 years. For the study, the team used rats that have been induced with ovalbumin to mimic the effects of asthma. The rats were then given a treatment of either budesonide or the herbal mixture — or both. The experiment ran for seven weeks; after which, the researchers collected lung fluid and tissue samples for examination. The results indicated that using both budesonide and the herbal mixture greatly reduced markers for allergy. The treatment also reduced the inflammation in the airways. According to researchers, this synergistic effect of the herbal mixture could be caused by its biological composition, which includes flavonoids known to have anti-inflammatory properties. “Our study demonstrated that inhaled GC [glucocorticoids] (budesonide) combined with the extracts of HE [Herba Epimedii] and FLL [Fructus Ligustri Lucidi] has a better synergistic effect on the airway remodeling in asthma[-induced] rats, compared with the single use of budesonide or the herbal extracts,” they added. Learn more about other herbs used in traditional Chinese medicine to treat asthma at ChineseMedicine.news.